Once upon a time, I bought a cheapo steam iron at a big box store assuming I would be lucky to get two to three years out of it. Well, that baby lasted 15 years. 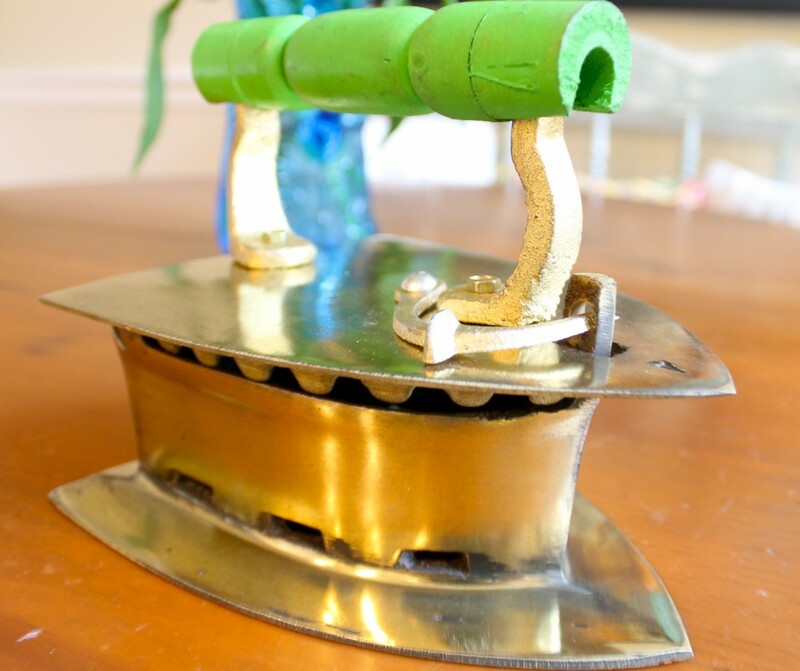 Since I know it wasn’t because of the quality of the iron, I can only guess that the way I treated it contributed to its long and fruitful life. I buy distilled water by the gallon and just keep it in the laundry room so it’s available when I need to iron. Pouring out the water after I finish ironing takes away the chance of any sediments collecting in the water chamber. I hate the smell of vinegar, but evidently, mixing it with some distilled water and running it through a steam iron cleans out all of the built-up gunk on the inside. I do it twice a year (when you change the clocks in the spring and fall is a good time). 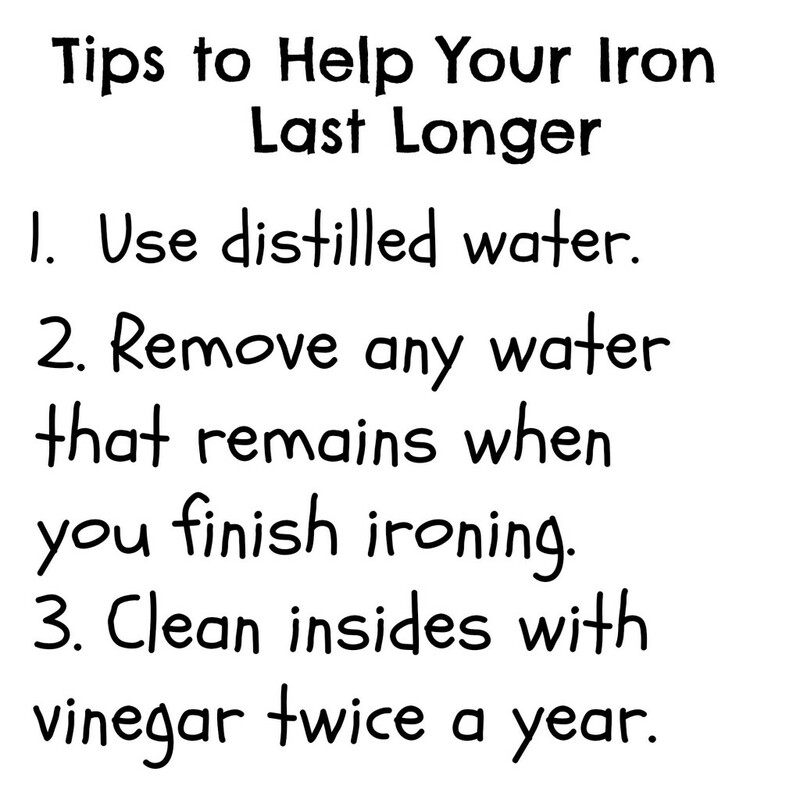 We hope these tips help give your iron a long and productive life.